The SMMA Education Department offers a range of activates for the average visitor to the park including public programs and interpretive areas including the outdoor Quarry History Exhibit, Nature Garden Interpretive Trail, and Grist Mill Historical Gardens. All programs are free but visitors must pay the daily Stone Mountain Park Daily Parking Fee or have an annual parking pass. For more information or questions on public programs please email education@stonemountainpark.org or call 770-498-5658. 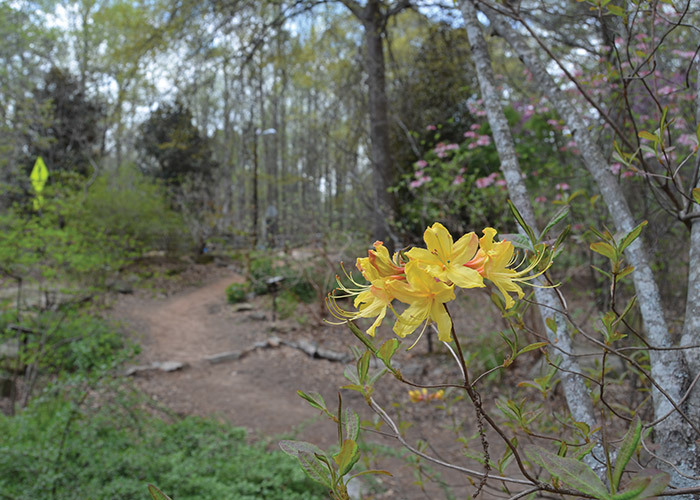 Visit the Nature Garden and Trail to discover many of the native species found her at Stone Mountain Park. In the garden, interpretive plant signs will identify and describe small flowering plants found on the forest floor and the tallest trees found surrounding the mountain. Along the ¾ mile trail, you will find a winding stream cutting through a shady forest of Oak, Hickory and Pine. Be on the lookout for the Big Leaf Magnolia, the largest single leaf in North America. Connect to the Cherokee Trail here to add 5 more miles of trail. 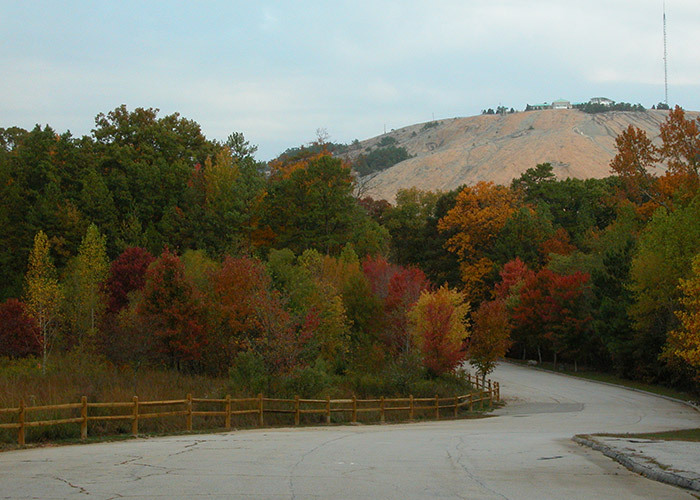 Explore Stone Mountain’s colorful past while visiting the last granite quarry to operate on the mountain. 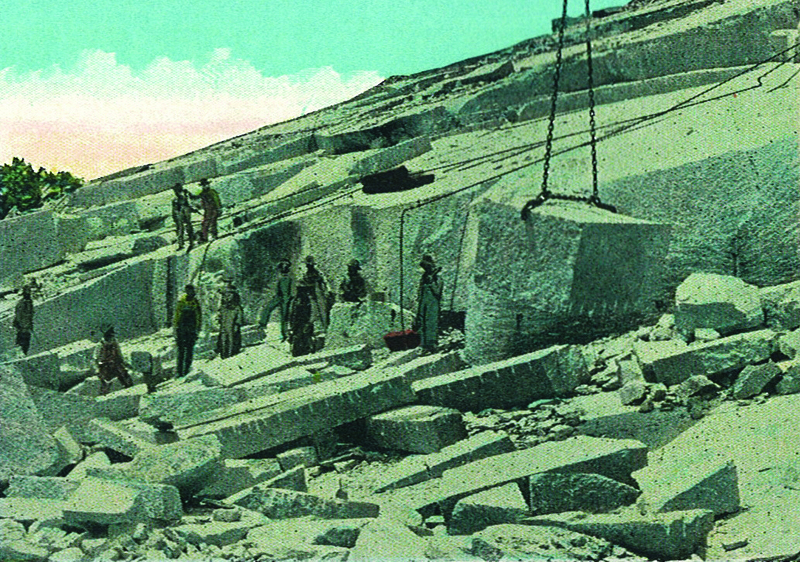 Learn about 19th century industry practices and products while marveling at historical photos as Stone Mountain’s dramatic backdrop looms the entire experience. Be sure to read all the places Stone Mountain Granite has traveled including the Panama Canal! 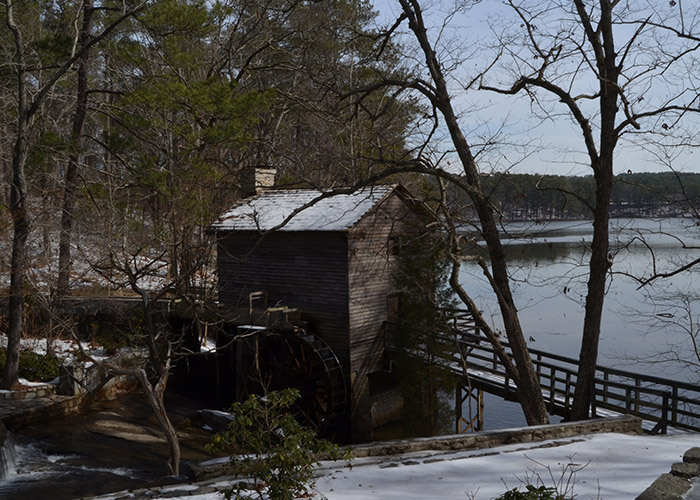 Visit the imported historical Grist Mill that sits alongside the edges of Stone Mountain Lake. Recently re-landscaped with native and historical plants, the Grist Mill Historical Gardens makes for a great place to eat lunch and watch the water wheel turn as the stream makes its way into the lake. Parking and bathrooms onsite. On the way to the island, drive across the 19th century Covered Bridge built by African American bridge builder Washington King, who in 1891 built this bridge in Athens GA. 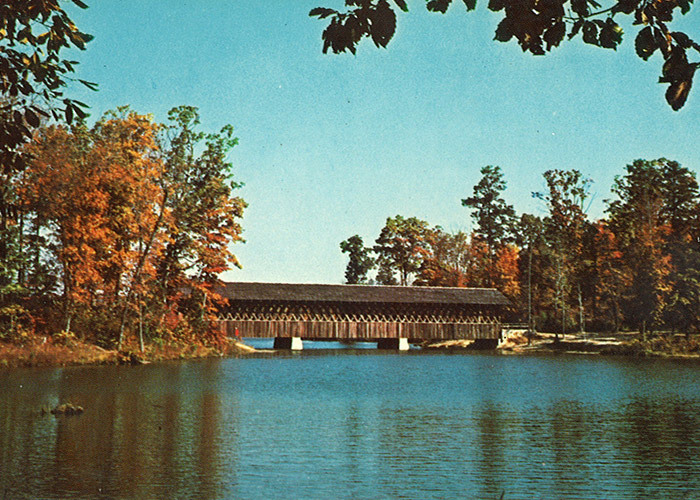 Imported in 1961 to Stone Mountain Park, the bridge now leads to Indian Island and the King’s Trail system, named in honor of the bridge builder. Marked by purple blazes, this trail is ¾ mile in length and traverses the shores and interior of Indian Island’s mature forest. 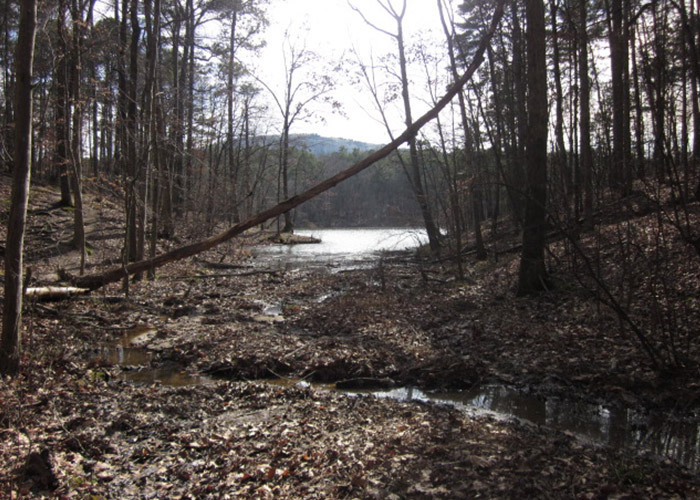 Located between two finger coves of Stone Mountain Lake, this trail climbs a ridge and then descends along an undeveloped part of the lake, providing peaceful views and cool breezes. With the blessing of the Principal Chief of the Muscogee Nation, we are privileged to name this 1.5 mile trail in honor of the areas original inhabitants. Site of the 1996 Olympic Velodrome and Archery Course, this area was converted to a wildlife habitat providing invaluable field habitat for a variety of songbirds and other opportunistic animals and plants looking for a sunny meadow environment. Take your choice of a 1 mile loop through the meadow or a 1 mile loop through the forest…or both! Dawn and dusk are the best time to view birds and other wildlife feeding on the native species that grow there. Dogs are not allowed due to nesting birds. There are two primitive camp sites located just down the road from Confederate Hall Historical and Environmental Education Center which can be reserved for a minimal fee through the Cherokee Trails and Campsites, INC. All proceeds benefit a local scout troop in Tucker, GA! Also offered is a hiking badge and orienteering course. Site A – Situated on Crossvine Creek, this site can hold up to 30 scouts and has a large fire pit, a potable water spigot and single bathroom. A small waterfall is viewable a few hundred feet away. Site B – This site sits on a high bluff overlooking a former lake, now a creek and wetland area. This site holds up to 50 scouts and has a large fire pit, a potable spigot and a single bathroom.